This 6 Input, 8 Track wav/mp3 recorder records to dual SD cards and can run off AA batteries or an external power source. Weighing in a 2.4 lbs its less strenuous for a sound mixer to carry around on locations than comparable recorders. 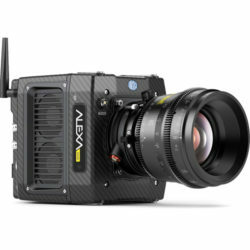 Timecode support and outputs allow for this system to integrate into most shooting situations seamlessly. 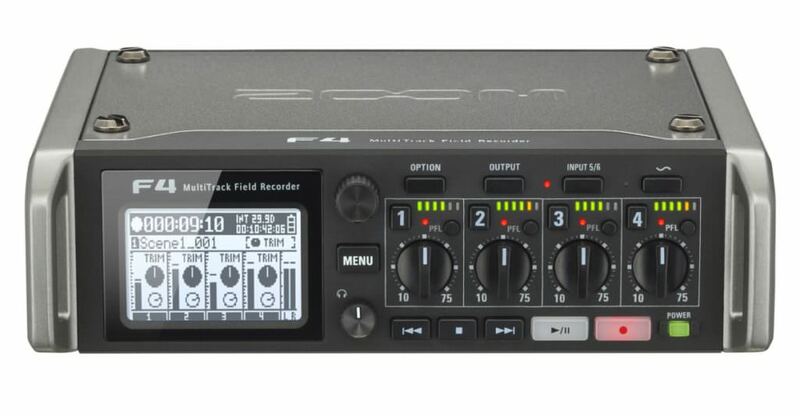 The F8 is an 8 input, 10 track recorder that can record to one or two SDXC cards simultaneously. 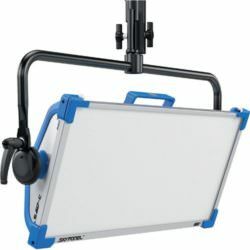 It can be powered via AC, AA batteries, or NP-1 style batteries (with adapter). 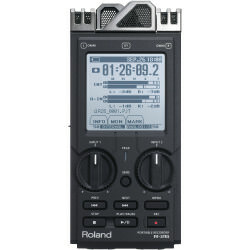 It supports timecode, has a built in slate microphone, and has a intuitive UI. 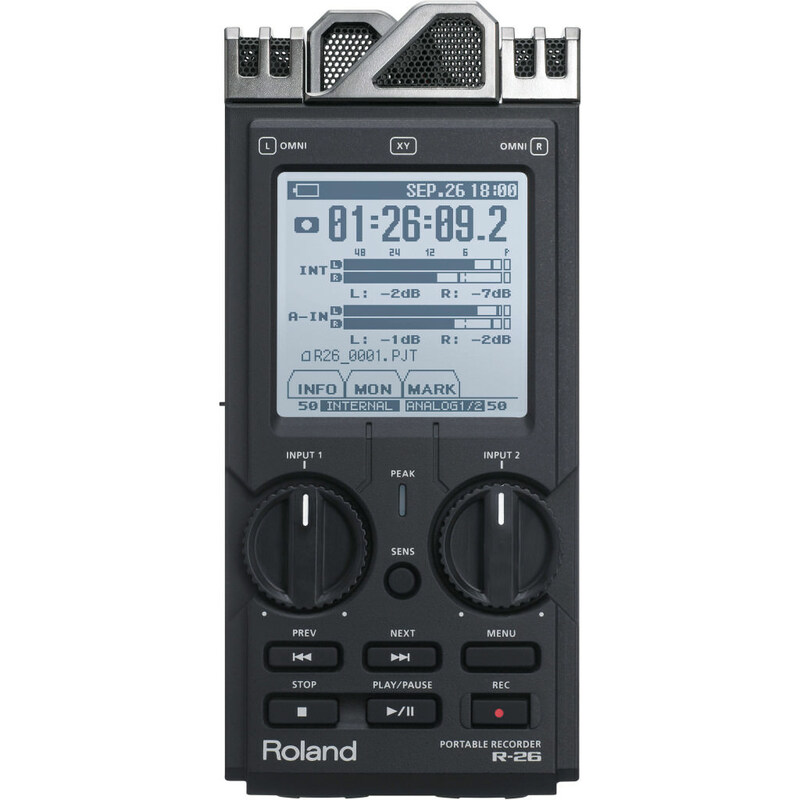 This recorder offers both XY and mid-side microphone modules. 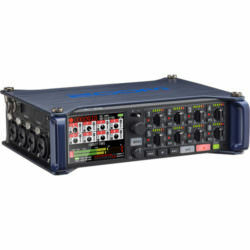 The H6 is equipped with four XLR/TRS combo inputs for connecting external mic/line sources such as microphones or mixers. All four inputs and each of the mic modules are equipped with their own preamps with dedicated gain knobs that are easily accessible whether you have the unit mounted to your camera, or strapped over your shoulder. Also, each of the four combo inputs has its own -20dB pad. 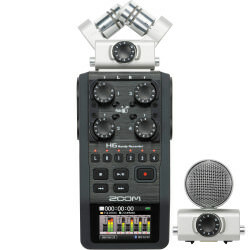 The recorder allows you to record up to six channels at once and stores them to SDXC memory cards up to 128GB in size. It also features a backup-record option that tracks a duplicate of the left and right channels with -12db input gain. This means that if you find that you have tracked your main audio too loud and that distortion has occurred in your audio, you will have a backup stereo mix with 12 db more headroom as a fail-safe. 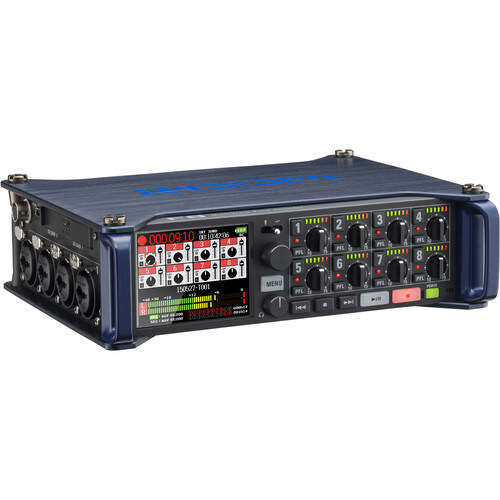 The R-26 6-Channel unit is ideal for a variety of professional applications in music, filmmaking and journalism. The R-26 can simultaneously capture up to 6 tracks of audio as 3 stereo pairs. 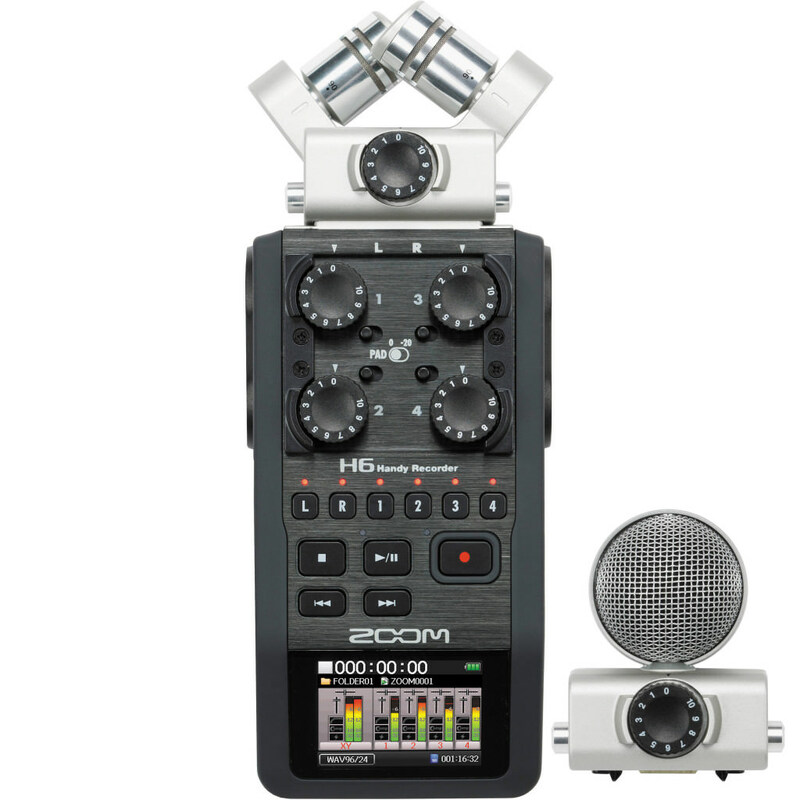 The recorder offers 2 types of built-in stereo mics; one omnidirectional and one directional. There are also 2 XLR/TRS combo inputs with 48V phantom power for external mics, and a 3.5mm mic input for small stereo mics with plug-in power. This compact professional 4-track digital portable recorder has been used on countless documentaries, reality shows and narrative projects. The audio is recorded on to Compact Flash cards and an internal 320GB SATA HDD. The high-quality converters support resolutions and sampling rates up to the 24-bit/192kHz industry bar. The uncompressed, file-based recording supports WAV and BWF file formats. Stereo MP3 file encoding and decoding is also available.